The price per head industry has exploded in the last few years and if you are a bookmaker or even a corner guy that has a player or two, then you definitely need to jump on board. There is only one way to be a bookie nowadays and that’s with a pay per head service. It would be safe to say that when conducting an organic Google search for an online bookmaker, that more than half of the bookies on page one, will be a pay per head. They may not advertise themselves as a pay per head and usually they don’t, but that doesn’t mean they aren’t and they most likely, are a pay per head. What makes pay per head services so great and what you should look for when deciding to do business with one? Pay per heads are a dime a dozen on the internet and knowing who to choose and why you should chose them can be a daunting task. Keep one thing in mind, there are some very good reasons to go with a pph, let’s look at a few. No more late nights grading tickets. Complete money management at your fingertips. A complete race, sportsbook and casino that’s turnkey ready and customized just for you and the needs of your clients. Customer support for both you the agent and the client that includes a toll free hotline assessable from the United States. Affordable, it does not cost a fortune to operate a pph. 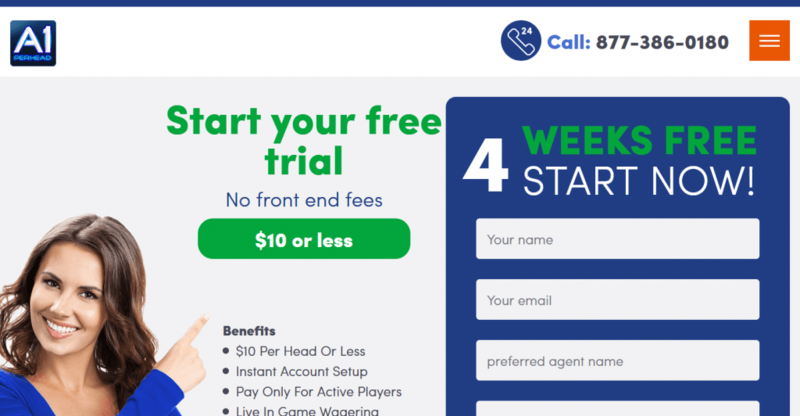 The cost, (depending on the company) and let’s precedent by saying the cost at the reputable PPH services; starts at around $10.00 per player, per week. This means that for every play you have that plays with you at least one time per week, you will be charged the onetime fee per week of $10. The Client may make as many wagers as he chooses for the one low price to you the agent. Easy startup. You do not have to be a rocket scientist to open up a pay per head. Ease of use, again, PPH services are super user friendly and everything is simple and easy to understand. Exclusive bookie software and a 99% up and operational time guaranteed. Betting options. Remember, this is a turnkey operation a PPH is a readymade sportsbook and casino with all of the popular casino games and a wide variety of sports wagering options that include a large menu of sporting events and all the wagering options on the individual sports such as parlays, reverse action, teasers, straight bets, round robins, live in-game wagering and much, more. Financial reports that include wagers earned/lost and end of day cash reports. These are a few of the many great benefits available when choosing a PPH service. There are great ones out there and not so great ones and then some rip offs. Don’t be scammed by the bad people. In every industry it’s the same, a few bad apples but fortunately they are just that, few and far between. The better PPH services in operation today will offer a two, three or even a 4 week trial period. Take the free trial, it will be well worth your time and you will get to know who you are dealing with. You will praise the day that you made the choice to use a PPH. No more accounting headaches, no more grading hassles and you can see where every dollar is spent every day. 247pph – Has developed a great bookmaking software suite. Discovering a great pay per head service provider can be like pulling teeth. There are many to choose from these days and knowing who is right for you can be confusing. Don’t get caught in the trap again. With 247PPH.com, you can rest easy knowing that your clients have the best bookie software on the market and that safety and security is the number one concern. 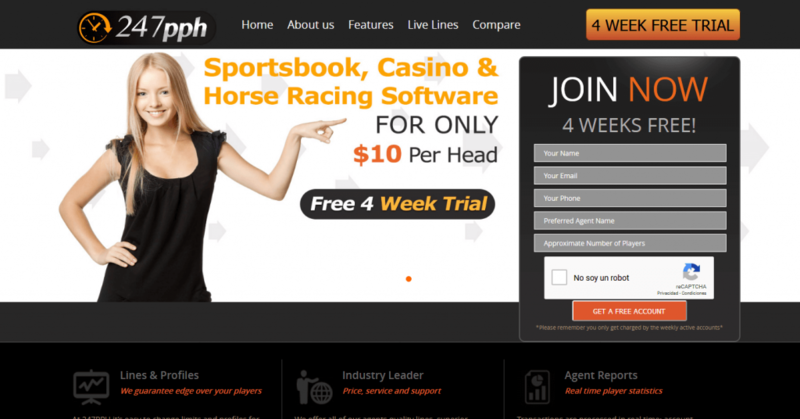 247PPH.com leads the way for a great user interface along with a complete turnkey ready, casino, sportsbook and racebook. To offer your clients the best and at fair price, then you must call 247PPH.com. Looking for a turnkey solution for your bookie business? A1PPH.com has the answers. Having been in business for 12 years they have learned what bookies want in order to grow. A1PPH not only offers a $7 price Per Head bookie software program that literally does everything for you, they also offer a full sportsbook, casino and racebook. State of the art is the name of the game, your clients will feel just like they are wagering with the big boys, ease of use, and betting options are a forte with A1PPH. If you care about uptime and top notch security, call A1PPh.com today. RDG Corp – launch an online sportsbook with minimal hassle. Have you been floundering around with your bookie business, are the clients driving you crazy but, yet you know you need them and your business would be dead without them? The RDG Corp is here to get your bookie solutions on track with a turnkey sports betting solution that can be up and running in less than a day! Are you tired of paperwork and an overall lack of the reports that you need to be successful? The RDG Corp has everything you need to run and operate a top shelf, online sportsbook. Since 1996 they have delivered. Give RDG Corp a call today. Pay per head services are everywhere on the internet these days and finding the right one can be a major pain in the neck. Stop looking! 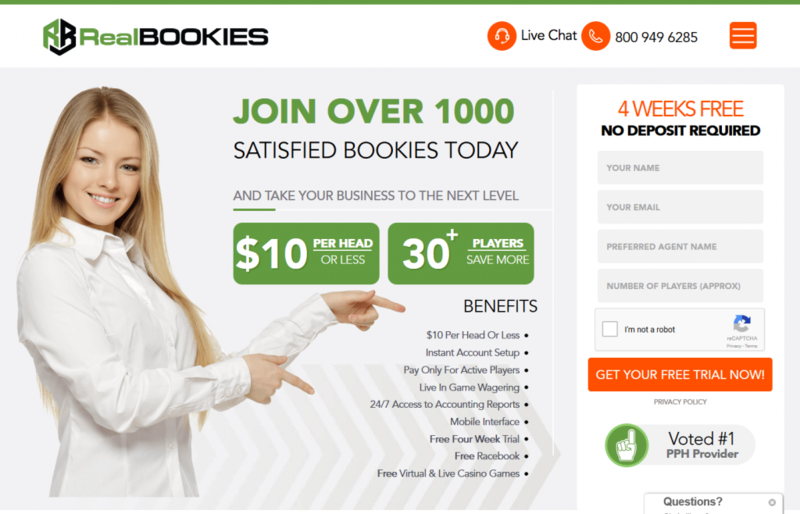 If you are a bookie and you want your players to keep betting with you then you must give Realbookies.com a try. They offer a 4 week free trial and they offer the best prices in the bookie software business. Stop paying a fortune for bad service. Start delivering a great service to your clients and you. If you want to make money this football season, then go with realbookies.com. They keep their promises.